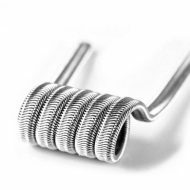 Tried and tested to be the finest Alien coils constructed using Juice Junkie wires. 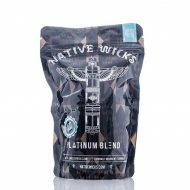 Wick ‘N’ Vape promises 33% faster absorption over its predecessor, due to the thicker fibers of the Prime allowing for an improved absorbency. 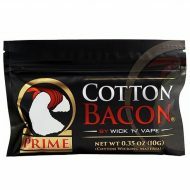 As well, the Prime is very easy to divide and portion into the right size strips for your deck. 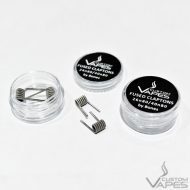 Slightly thicker core wire makes these coils produce thick, dense flavour and vapour production. Perfect build to pair up with your favourite mechanical device. 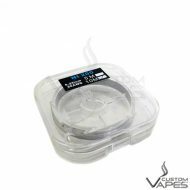 Slightly thinner core wire makes these coils more efficient for every day use. 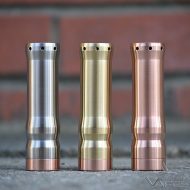 Perfect build to pair up with your favourite regulated or mechanical devices. 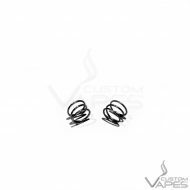 Handmade Maidstone Coils, comes in a little glass vial with a small ball of cotton. The new Coilmaster V3 Kit comes with everything a coil builder needs, the Coil Master DIY Kit V3 is a must have for your vaping collection. 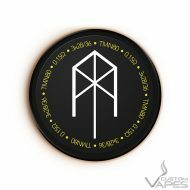 By purchasing this product you agree that you are knowledgeable of the nature of this product and release Custom Vapes and Bones from any liability stemming from the product’s use. 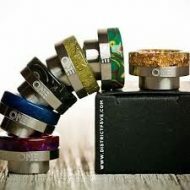 With Pre-Made coils the Ohm Readings will vary from reader to reader. If you use 2 24n80 coils to do dual builds then the reading will average of 0.13/.14 ohms. and 26n80 average to .18/.19 ohms. 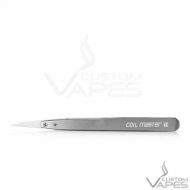 The latest tweezer by Coil Master is lightweight, The ceramic tips offer zero electro-magnetic induction, 100% electric insulation, 100% non-magnetic, 100% non-static, high thermal resistance, high resistance to corrosion and are very resistant to wear. The Ceramic tweezers let you pack and squeeze the coils together while actively firing and therefore allowing you to get that rebuildable set up just right. 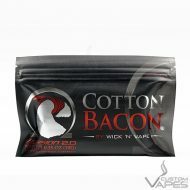 There’s no other better tool to perfect your coil building. 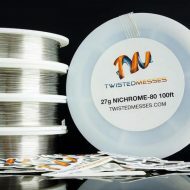 A spool of 5m or 10m Pure Nickel Ni200 wire with a case. 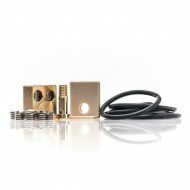 This Ni200 wire is great for sub-ohm builds but should only be used by advanced users with a very good understanding of resistance. 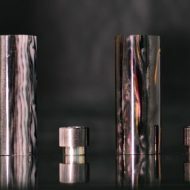 WARNING: NICKEL WIRE IS DESIGNED FOR USE ONLY WITH DEVICES EQUIPPED WITH CIRCUIT BOARDS CAPABLE OF CONTROLLING COIL TEMPERATURE SUCH AS THE DNA40. DO NOT USE THIS PRODUCT WITH ANY OTHER TYPE OF DEVICE FOR YOUR OWN SAFETY!